Last July a contract was agreed for the sale of 34 acres of agricultural land in the midlands. The owner, car dealer John Alex Kane, was in substantial difficulties with the Revenue Commissioners over unpaid taxes and a receiver, Myles Kirby, was appointed to sell the land and other properties to satisfy a court judgment for almost €5m. Two local men quickly put in a joint bid for the land at Willsbrook, near Granard, Co Longford, and it was accepted. The only real condition was that the prospective new owners wanted vacant possession. This meant any livestock would have to be removed before the sale could close. On the face of things, it looked like a straightforward transaction. However, it has proved to be anything but. If anything, events since then could provide ample inspiration for a modern day retelling of John B Keane’s classic play ‘The Field’. The sale has been delayed for the past nine months due to an extraordinary campaign of intimidation, allegedly waged at the direction of Mr Kane. Over the past few months the High Court has heard about a series of incidents targeting the work of the receiver and the prospective buyers. This has included a petrol bomb attack, break-ins, criminal damage, threatening behaviour and the repeated placement of livestock on the land. Mr Kirby alleged Mr Kane phoned one of the men planning to buy the Willsbrook land last October and told him there would be “very serious consequences” if he did not withdraw his offer. Mr Kane is alleged to have told the man he would “torture him for the rest of his life to the grave”. The High Court has also heard claims the other buyer received a call from Mr Kane’s brother Seamus, in which he is alleged to have threatened that any animals put on the land would be shot and the buyer’s home burnt down. Seamus Kane has already been jailed for contempt of court for his role in the alleged campaign. On Wednesday, the President of the High Court, Mr Justice Peter Kelly, warned John Alex Kane he too faces being sent to Mountjoy amid claims he defied a court order by personally moving cattle onto the land last month. The judge said Mr Kane had done everything in his power to frustrate the receiver. Mr Kane denies moving the cattle and the judge will decide his fate in June. If he is jailed, it would be his third stint behind bars for contempt. The businessman is well known in Co Longford. For years, his family ran the Kanes of Granard motor sales business. But in 2009 the Revenue got a judgment for €4.97m against him over unpaid taxes. Since then it has been trying to recover at least part of the money owed. Under a settlement agreement, Mr Kane and his wife, Lucy Pinfold, will be able to keep their substantial family home at Cartron, near Granard, provided he makes a series of payments in instalments totalling €450,000. However, other properties he owns must be sold. Last November, Mr Kane produced €58,000 in cash in court to pay one of the house instalments. A further instalment of €75,000 was made in February via a UK company. The receiver has been asking questions about the source of the cash, alleging the latest payment came from a sham company set up at Mr Kane’s behest to conceal assets. Mr Kirby also alleges that since his appointment in January 2017 there has been a “wide-ranging campaign of intimidation and interference” in an effort to “frustrate and hinder” the sale of properties. He has cited a petrol bomb attack and a break-in at the Kanes of Granard premises in July 2017 and the setting alight of a vehicle outside the premises the following October. In May 2018, an auctioneer was allegedly threatened and signs were erected warning off potential buyers. The High Court has heard Mr Kane was arrested, but released without charge. Files are to be sent to the DPP. Mr Kane has denied involvement in the acts of interference and intimidation and last July offered to give a renewed undertaking of ongoing assistance to the receiver. But the following month the auctioneer’s sign at Willsbrook was taken down and cattle were put onto the land. Mr Kirby said he received information this was done by Seamus Kane. 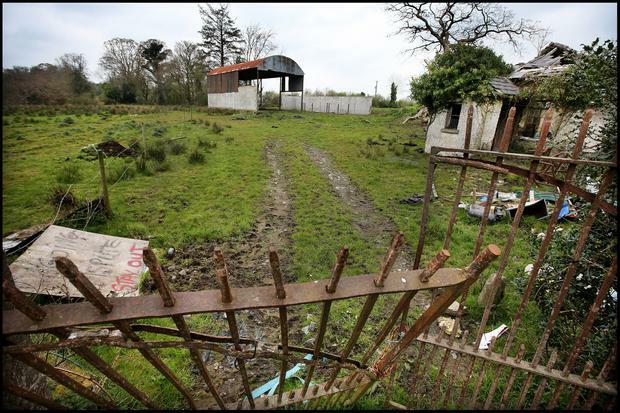 Meanwhile, efforts by the receiver to sell another parcel of land at Tullygullion, Co Cavan, were thwarted when a prospective buyer withdrew his interest after being visited at his home and threatened with severe consequences. He would not say who threatened him for fear of reprisals. The same month, Mr Justice Kelly made an order giving Seamus Kane and another brother, Jerome, 72 hours to remove vehicles, machinery and livestock from the lands. It also restrained them from contacting prospective purchasers and auctioneers and from erecting any signage. However, within days Seamus Kane sent copies of the order, with the word “void” written across it, by registered post to Mr Justice Kelly. Signs also appeared at Willsbrook, saying the land was subject to a dispute. Seamus Kane’s actions led to him being jailed for contempt in November. John Alex Kane was back in court on Wednesday, where he denied being responsible for moving 15 cattle onto the Willsbrook lands last month. At the hearing, concerns were also raised about the manner in which he was complying with an undertaking to file outstanding tax returns and his continued association with Dr Michael Grimes, a Cork businessman convicted of tax offences last year. Mr Kane said he would have to get an accountant, but it was hard to get people to do work for him. Mr Justice Kelly said he had no one to blame but himself as his behaviour was characterised by chancing his arm and chicanery. “All of the professional advisers who have tried to assist you over the years have departed the scene in circumstances where they can’t believe a word out of your mouth. How am I expected to believe a word out of your mouth?” the judge said, adding Mr Kane would have had “this misery” behind him if he had complied with undertakings. “You would have your house. You would be turning over a fresh page in your dealings with the Revenue. The relevant lands would be sold. You would have parted company with Dr Grimes. And that, on the state of the evidence before me, has not happened,” Mr Justice Kelly said.